"Mykonos attractions – even if your Mykonos vacations are one day long there’s lots to keep you busy during your visit to this Greek island..."
Mykonos island and Hora town might not be too big but there’s enough Mykonos attractions to keep you busy all day. 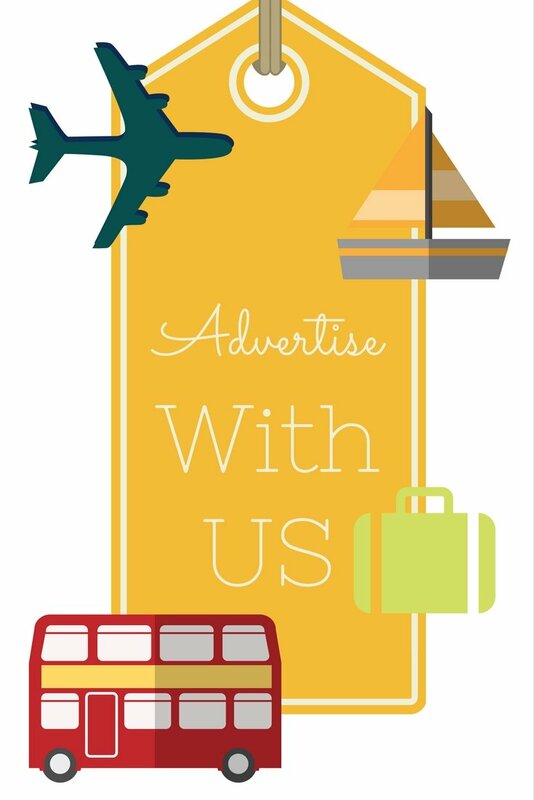 And when the moment comes for you to get back onboard your cruise ship, you will wish you could have prolonged your mini island vacation. 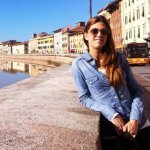 Here’s a list of all the attractions and things to do to help you make sure you’ve seen as much as you can in your short cruiser’s day to Mykonos Greece island. What are the must see Mykonos attractions? 1. 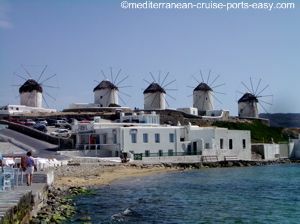 WINDMILLS – a bit of an unexpected sight, but yes, you will see windmills right in Mykonos town. These Mykonos attractions have become such a big symbol of the island, it would be impossible to imagine the landscape without them. Thanks to the island’s geographic location and the strong north wind that blows throughout most of the year, the windmills had been built by the Venetians from the 16th Ct to the early 20th Ct.
Once there were about 15 of them that were operational, but today none of them are and they mostly serve as tourist attractions (one of them was turned into a museum). In the past they attracted people from all over the Cycladic islands but also all the foreign ships sailing the area… they all used to bring wheat and barley to be made into flour. That way, the windmills supported the economy of the island in tough times. You will find 5 of the most famous Mykonian windmills in the area of Alefkandra next to the Little Venice area. 2. 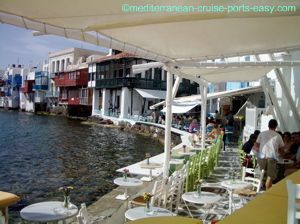 LITTLE VENICE – this romantic and photogenic area is another one of the Mykonos town attractions. Famous for its whitewashed and pastel houses, their overhanging balconies and porches washed by the Aegean sea, this spot is a must-see for every cruiser! 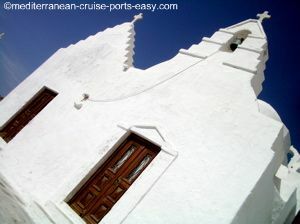 The area is only a few minutes walk from the Mykonos waterfront, past the Paraportiani church. It is in the area also called Alefkandra, the name of which derives from the fact that in the past this used to be a laundry area where Mykonian women used to wash clothes. Most houses were built in the 16th and 17th Century and most of them are now turned into charming cocktail bars, taverns and restaurants. There is no more romantic way to sum up your day in Mykonos village than to watch the sun setting with a cocktail in your hand sitting right here in Little Venice… but be warned you will pay for this pleasure way more than in other parts of the town. 3. PANAGIA PARAPORTIANI – is the most famous church of the Mykonos Greece island and one of the most photographed Mykonos attractions. Most churches you will see strolling around Mykonos village, you will literally stumble upon. They never scream what they are from the outside…the only thing that might attract you will be a glimpse of candles caught from the corner of your eye, washing the small interior and its icons with a mysterious atmosphere. But the Paraportiani church is different, its white-washed structure against the crystal blue sky always leaves an impression. This church is actually 5 churches fused into one… 4 on the lower level, Agios Sozontas, Agioi Anargyroi, Agia Anastasia, and Agios Efstathios and the 5th one is on the upper level, the church of the Virgin Mary which today we recognize as the dome of the whole structure. This one of the Mykonos attractions got its name, in translation Our Lady of the Inner Gate, from the fact it used to be positioned at the inner door of the Castro (Castle) area of the village that was surrounded by a wall. The construction of this distinct church, which combines both Byzantine and vernacular architecture elements, started in 1475 and its construction evolved over the following 200 years. 4. DELOS – although not exactly one of the Mykonos attractions, due to its proximity it is one of the sights to see when coming to the island. As opposed to Mykonos, which is all about fun, entertainment, crowds and enjoyments of the flesh, Delos is a deserted museum in the open and with no accommodations here, it is strictly a day’s visit from Mykonos. Read more about visiting Delos in our article on Delos island. 5. BEACHES – Everyone who comes to the island for their Mykonos vacations, even if they are just a one day visit and part of a Mykonos cruise, get excited about Mykonos beaches! Whether you are looking for a relaxing day with your loved one, solitude with a good book in hand or a partying scene surrounded with beautiful people, Mykonos beaches will meet your needs. 6. 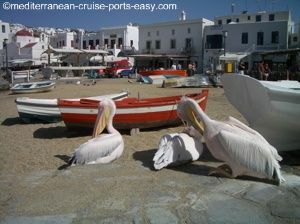 PELICANS – The pelicans are the only one of Mykonos attractions that are not so easy to locate as they are very much alive and constantly moving around. The story of Mykonos pelicans goes back to the 1950s when, after a big storm, a local fisherman found one of the birds wounded and nursed it back to health. Surprisingly, the bird decided not to join the other birds in migration and stay on the island as one of its permanent residents. The islanders named it Petros (Rock) and he lived happily on the island for the next 30 years. Petros the pelican became such an icon that the whole of Greece was saddened when he died in the 1980s. It was Jackie Kennedy-Onassis who sent another pelican to the island… and so the tradition could continue. The new pelican was named Irini and she soon got her partner, Petros II, who was sent from the Hamburg Zoo. The happy couple got another companion a few years ago when another pelican, called Nikolas, decided to stay on the island too.